Which is it, the Gospel according to the Bible or the Gospel according to Roman Catholicism. Whose Christ will you follow? Historically the Roman Church has always been opposed in terms of the understanding of the Gospel in the native tongue, as it has always been argued for people to know Christ they must ultimately go to the church and be taught by the priests. This has prevented many people from coming to Christ through scriptural authority on matters of salvation; Rome has already expressed an opposition to scriptural authority being the basis of faith. The Roman Church prefers to express its own authority in matters of scriptural knowledge of the gospel, as they express that the reader is not permitted to base his faith or rely on the context of what is written in the Bible for spiritual direction on matters of salvation. In doing so Rome seeks to prevent any person from having a relationship with God. It is for this reason why this article attempts to reveal to you why we have two different Christ’s, simply because truth is a person and truth’s name is Jesus Christ if Rome has not the truth than whose Christ does Rome represent? 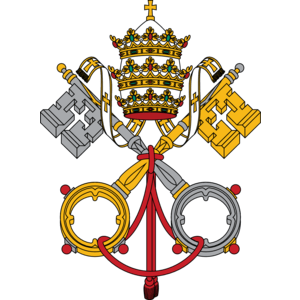 For over 500 years the Church of Rome has been working to place us under these conditions when it comes to matters of faith with regards to the gospel and the rest of the scriptures, in doing so the Pope has exclusive rights with regards to matters of faith that any one person is not permitted to define or base any decision on scriptural authority alone. Rome continues to recycle and reconstitute scriptures to keep any person from having direct access to God. In this the Roman Church is defiant to the Holy Scriptures and in direct opposition to Romans 1:16, Rome continues to place itself above God’s revealed word to man, in other words we are not permitted to understand the simplistic nature of the gospel and so we are required to rely on the explanations founded in liturgical teaching by the explanation of the priest. In any case, Rome teaches that the priests are part of Gods royal priesthood and ordained by the ecclesiastical authority to fully and correctly interpret scriptures upon the traditions of the church. One example of this is in the Canon Law’s explanation of original sin, this says: Canon 4 on the decree concerning original sin “If anyone denies that infants, newly born from their mothers’ wombs, are to be baptised, even though they be born of baptised parents, or says they are indeed baptized for the remission of sins, but that they derive nothing of original sin from Adam which must be expiated by the laver of regeneration for the attainment of eternal life, whence it follows that in them the form of baptism from the remission of sins is to be understood not as true but as false, let him be anathema. What does Rome teach concerning the way of salvation? Roman dogma and scripture truth [P126] “There is no question of which is of more vital concern to men than what which has reference to the way of salvation. How can a man be Just with God? How can the guilty be reconciled to Him and attain peace? What must I do to be saved? There is surely nothing regarding what it is more necessary that men should have clear and definite knowledge than this; for to be in error at this point is to imperil the well-being of the soul for time and eternity. It will be convenient, perhaps, that before discussing the Roman doctrine of salvation, I should indicate what is the teaching of the New Testament on this great theme. Paul teaches us that the way we are saved from sin, to understand the gospel we must realise that we are all sinners and what that means. It is through the knowledge of the law, the book of Hebrews that remedies this through his onetime blood sacrifice to end all other sacrificial offerings, what does not justify us is anything we do to win Gods favour to appease him with all piety, anything that relates to external religious practices this includes Popish sacrements that relates to the hypo-static Union, Romans 3 teaches that none of us are righteous or good enough, because we have all sinned and contain within the man the corruption of the flesh, resulting in God’s wrath upon all the world, John 3:36 that requires us to believe in the Truth. The scriptures make it clear that the penal substitutionary atonement teaching that is according to John’s gospel, it was Christ who took the whole wrath of God that was laid for the world on himself, he took our nature and offering himself as the scapegoat so that we did not need to be punished on the basis of sins that we had committed, nor does anything need to be done on our part to obtain salvation, the Bible says that Christ had laid the iniquity of us all on the cross, it is this teaching we have the foundation in Christ who is our righteousness necessary for the remission of sins. One of the faults of Roman Catholic doctrine is that to a large extent it confuses Justification with Sanctification. Rome’s doctrine of the way in which a sinner finds acceptance with God is neither Justification, in Pauline sense of that term, nor yet is it Sanctification; it is a strange mixture of both, Justification declared the Council of Trent, “is not remission of sins merely, but also the sanctification and renewal of the inward man.” In Protestant doctrine, which is based on the teaching of the New Testament, the two are carefully distinguished. We are justified by faith alone, but every man who is justified is also quickened into newness of life. [pp.141] those fruits of the spirit have no place on the ground of his justification. This distinction between justification and sanctification, together with the relation between them. [pp.142] The Charge must be preferred against the teachings of the Church of Rome on the subject of Salvation – and I realise that it is the most serious indictment that can be brought against any system of doctrine – is that it casts dishonour on our Lord Jesus Christ by denying in practical effect the sufficiency of His redemptive work. It regards the believer as sharing with Christ the glory of securing Salvation. This co-operation might not, at first glance appear to be a dangerous departure from the truth of the Gospel, but it introduces a legal element to its distinctively evangelical character, It means that a man earns, to some extent at least, his own salvation, instead of receiving it wholly as a gift of God. on the subject of Salvation – and I realise that it is the most serious indictment that can be brought against any system of doctrine – is that it casts dishonour on our Lord Jesus Christ by denying in practical effect the sufficiency of His redemptive work. It regards the believer as sharing with Christ the glory of securing Salvation. This co-operation might not, at first glance appear to be a dangerous departure from the truth of the Gospel, but it introduces a legal element to its distinctively evangelical character, It means that a man earns, to some extent at least, his own salvation, instead of receiving it wholly as a gift of God. Rome’s teaching on the sole means of salvation. Roman Catholicism claims to possess Christian truth completely and exclusively, thus justifies the assertion “Outside the Church there is no Salvation,” (Extra Ecclesium Nallis Sallas) Rome uses this teaching to inflict suffering and persecution to all who oppose her. The Romanist Church authorities are abusers and would inflict such control upon people both inside and outside the Church of Rome enforcing this idea that rejecting the Catholic Church and its authoritarian control would result in the eternal destruction of the human soul. This strong delusion that there is “no salvation outside the church” has gripped control over the minds of many Catholics who have led by intentional or unintentional deception the evangelical churches to believe that Roman Catholics truly love a Bible based Christ and do good works are called “saved”. This mindset is futile to both evangelicals and Catholics on the basis that a biblical gospel is to be rejected in place of a counterfeit gospel and would use it to intimidate others who do not tow the unity line. Accusations are typically made against non-Catholics or evangelicals that Protestantism is also guilty of persecutions when looking at why these are used because Rome likes to use this reasoning of Protestant persecution to digress from Rome’s criminal history to renounce persecution. To this date Rome has not repented of its crimes and does not profess to believe in tolerance. Rome claims to have exclusive claims to Salvation, it is for this reason why Romanist teachings must always be regarded as dangerous to any soul that no true bible based Christians must take away their focus on this area and forget that we are lead to believe that any such Catholic who remains convinced of their Catholic faith can ever be regarded as truly in Christ biblically speaking, this includes in the sight of good works. We must examine the words used by the Papacy the claims of legitimacy, did Christ really establish the Roman Church as the only way of salvation? Handbook to the controversy with Rome [pp.74] So far as Catholicism considered herself to possess Christian truth completely and exclusively, she perceived herself justified in the assertion ‘Outside her Church no Salvation’. This belief, which surrendered all beings outside this church to be lost forever, sprang from the due course from its infallibility. But inasmuch as in the popular mind thoughts are not carried out with logical accuracy, the belief in a church as the sole means of salvation far outstripped the dogma of infallibility in date and distinctness. Religious Intolerance to those outside the Roman Catholic Church. To the Catholic Mindset any soul who opposes any teaching or practice of the Church of Rome will have their immortal souls condemned to an eternity in everlasting punishment would place this man made fear upon their victims, this is the side of the RCC that is not seen by the majority of evangelical Christians and so it is a serious assertion that Rome boasts that your salvation is dependent upon the church authority, “the Vatican”, question should be asked would Jesus Lord the extent of salvation that it must be placed by authority under human beings and not Christ himself, I say let faith be the line in the sand where the church falls or stands, let him resist any governing authorities on matters of faith that gives people the ability to know God and not through the priest or any man-centered governing structure, am I suggesting anarchy against God or governing earthly authorities God forbid, but I encourage deference and in defying any popish man-made structure that is not under the authority of Christ but rather where it started with Pope Julian I to a Jesuit Pope Francis of 2017, may many come to the understanding that man should place a biblical Christ over the Christ of Roman who another Christ. 2 Cor 11:14 For if he that cometh preacheth another Jesus, whom we have not preached, or if ye receive another spirit, which ye have not received, or another gospel, which ye have not accepted, ye might well bear with him. [pp.76-77] The confession of faith named after Athanasius begins with the words; ‘ Whosoever wishes to be a safe must before all things hold fast the Catholic Faith and he who does not guard this inviolate without doubt perish everlastingly.’ Then comes ‘ this faith ‘ viz. : the doctrine of the triune God and of the God-man in their most rigid minuteness, particularising opposing tenets in the style of a litany with full detail and condemnation till we reach the concluding words: ‘ This is the Catholic faith. He who does not hold to it truly and faithfully cannot be safe.’ This confession as being of western origin has been since the seventh century the creed of the Roman Church, which since its separation from the Eastern Church. We should look into the claims and investigate what has been stated concerning the words used by the Roman Catholic Church as the only way of salvation, from how it is taught in the Catechism of the Catholic Church, if we compare them to the scriptures do we call this heresy? Besides Rome claims in the Catholic Catechism number 460 under the title: Why did the word become flesh? The RCC is teaching when we receive salvation through the Church we become God, this was the same lie used to deceive Eve in Genesis 3, the serpent used this reasoning to deceive the woman you can become as God knowing good and evil, Scripture does not teach that we become God or take on his divinity becoming men gods, The Bible does not teach us that we take on his divinity. Rome would condemn anyone not to accept anything it says, this means by not accepting the church authority this to make us as good as an unbeliever, in other words, a Gentile and a publican, this is about shunning such people out of the church, this term no salvation outside the church has been established within the minds of every Catholic. This statement ‘ if he refuses to hear the church also, let him be unto thee as the Gentile and the publican! ‘ this depends on whether or not we believe and accepts infallibility, Handbook to the controversy with Rome explains [pp.102] ‘He that rejecteth you, rejecteth me!’ It was said to the seventy disciples. If we assume that it holds good for all their followers: upright sincere preachers of the Gospel, such as we must believe the seventy to have been, are the last persons to be despised by Protestantism. Lastly,’ He that disbelieves shall be condemned and he that believeth not have been judged already’. This does not mean belief in the pope or in his Church as the only way of Salvation. Looking at the quote, we know from scripture is that the only way of salvation is through Christ and Christ is not the Church, the gospel is clear as the Apostle Paul explains in Romans 1:16 that the hearing of the gospel is enough to save a soul and so no more is necessary than simply believing it is the power of God for salvation. [pp.102] Christ who considered salvation to be only upon living communion with Him, in His Sermon on the Mount. Commended as happy those that are poor in spirit, those that mourn, those that are pure in heart, those that hunger and thirst after righteousness, those that are reviled and persecuted for his name sake. In his prophecy of the final Judgement, He declared the blessedness of those who without calculation had done the works of charity as done to himself. There is nowhere anything said of the Pope, his ceremonies, and dogmas. [pp.106] The argument is this as the Catholic Church avers [meaning to affirm] that in her communion alone everlasting life is to be attained. This teaching concerning the Catholic faith is contrary to the scriptures, the communion alone rejects the belief in the sufficiency in the one-time sacrificial offering of Christ and so assurance on God’s forgiveness for all sins cannot be assured, those who are born again do not hold to these teachings, by the explanations concerning the teachings of the Church of Rome there are clear differences between Rome’s Christ and Biblical Centred Christ it is for this reason why Roman Catholics cannot be truly saved and remain in the Roman Catholic Church. With regards to Salvation [pp.106] when Henry of Vavarre asked his clergy, whether salvation was not also obtainable in the papal Church, no one ventured to deny it. Nevertheless, all the joys of his royal estate and all the blessings which his rule conferred upon France did not permanently allay the twinges of his conscience, which once in a dismal night of sickness was moved to anguish at having committed the sin against the Holy Ghost by his secession to the Church of Rome. An account of the Roman Catholic Churches attitude to the Bible. Here is the story of an account of a young man in a book called the Roman Catholic Church in Italy this is used as an example to illustrate the Roman Churches hostility to the Bible itself, this rejection of biblical supremacy still stands to this day. [pp.217] Accordingly the young man called upon the priest, and first of all, he handed to him a New Testament printed by the British and Foreign Bible Society. The priest said: “That is a bad book; you must burn it.” “Very well,” said the young man. Then he handed him a little book, entitled “Vita e Parole del Sigmor Gesu” (The Life and Words of the Lord Jesus). This book contains the gospel of Luke, and the discourses of Christ, taken from the other three Evangelists. But it is a book that I had published by Catholic publishers. The Priest looked at this book, saw who published it, and handing it back to the young man, said: “That is a good book, you may keep it.” “But,” said the young man, meaning to be entirely frank with him, “this book is simply a part of one” (the condemned New Testament), and then he explained what it was. A friend of mine, now an evangelist when a young, zealous Catholic in Turin, got hold of a New Testament and took it to the priest. The priest said “you have got hold of a very Bad book, that book was printed in hell.” The words awoke the young man’s curiosity, and, in spite of the protest of the priest, who desired that he not have it, he took it home and read it. The result was in his conversion and his dedicating himself to Christian work. The fact of the matter the priests really know nothing about the bible. The complaint of Erasmus, made in 1513 that nothing was known of the Holy Scriptures, except the portions from the Gospels and Epistles that occur in the Church Services, which were so read and intoned as to be unintelligible to the understanding of reader and hearer, might be made with equal force today. and if so what is the biblical approach? Many evangelicals argue today against studying different teachings of denominations or for that matter the central doctrines of the RCC. It is argued that just having scripture should be sufficient and you do not want to add any unnecessary knowledge, as it has no benefit to you. The scriptural perspective is for error to be confronted we need to know the subject in order to confront the error with the scriptures. In warfare, dealing with our enemy can often be difficult, when being confronted in the battlefield, no army would go into the battlefield unprepared and so we can learn allot by the principles that are used in the arm forces to be self-disciplined in studying the subjects before we ourselves go into battle. First and foremost we need to have a clear and correct understanding of scripture in light of the amount of error that has been taught, to be able to effectively and diligently confront error then we must understand what it is that is being taught. Truth or Error [pp.154] it has been truly said, the Bible is the Secret of England’s Greatness, and the Gospel is the true panacea for our greatest ills, it behoves us to give the Word of God not only its due place in our religious systems but also all the support we can in every way. It is right that we should not only defend it against its foes at home but also do all we can in providing the means to send out men who love it and live by it. beliefs and the customs of the area in his day resulting in his effectiveness to reason from the scriptures. [pp.154] As I had said, we must be prepared to defend the Bible against all foes. And this every Christian can do in one of two ways, many can in both ways. Firstly, we can all make it more and more really our daily study and guide. We can prayerfully and carefully endeavour to imbibe its holy teaching and live according to its precepts. We can of the Faithful Promiser. We can pray for the light of the Holy Spirit that we may understand His word, and be thus enabled to give a reason for the hope that is in us (1 Peter 3:15). [pp.155] There is in the midst of us a system of religion which is not founded exclusively or even chiefly on Holy Scripture. It does not profess in its own authoritative statements to derive all authority for ties teaching from the pure fount of Gods word. It undermines the authority of the Bible declares that it is not the sole role of faith. It pronounces equal authority with the written Word of God the unwritten traditions of men, and commands the same reverence to be shown to the latter as well as the former! it is clear from the teachings of the Church of Rome they have imposed another gospel in favour of a Gospel that rests upon biblical supremacy and not under the authority of the pope of tradition, all we have to do is to look at the cannon laws under the Council of Trent to explain why “If any one saith, that man is truly absolved from his sins and justified, because he assuredly believed himself absolved and justified; or, that no one is truly justified but he who believes himself justified; and that, by this faith alone, absolution and justification are effected; let him be anathema,” (Canon 14, Council of Trent). The Bible teaches us it is the sole work of Christ and must be received by faith “I do not nullify the grace of God; for if righteousness comes through the Law, then Christ died needlessly,” (Galatians 2:21). Other scriptures would never agree with the statements made by the RCC such as: “Therefore we conclude that a man is justified by faith without the deeds of the law,” (Romans 3:28). “For what saith the scripture? Abraham believed God, and it was counted unto him for righteousness,” (Romans 4:3). “But to the one who does not work, but believes in Him who justifies the ungodly, his faith is reckoned as righteousness,” (Romans 4:5). “Therefore being justified by faith, we have peace with God through our Lord Jesus Christ,” (Romans 5:1). “For by grace are ye saved through faith; and that not of yourselves: it is the gift of God,” (Ephesians 2:8). This instead, places justification by baptism into the Church this is the gospel according to Rome: “No one can MERIT the initial grace which is at the origin of conversion. Moved by the Holy Spirit, we can MERIT for ourselves and for others all the graces needed to attain eternal life, as well as necessary temporal goods,” (Catechism of the Catholic Church 2027). Rome teaches the necessity of works to be justified, it is on man’s account the bible objecting to this is clear “But to the one who does not work, but believes in Him who justifies the ungodly, his faith is reckoned as righteousness,” (Romans 4:5). We must examine the following scriptures to see whether or not works does contribute to salvation, it should be enough for any Catholic who seeks truth resulting in leaving the Church of Rome. “And He Himself bore our sins in His body on the cross, that we might die to sin and live to righteousness; for by His wounds you were healed,” (1 Peter 2:24). “He made Him who knew no sin to be sin on our behalf, that we might become the righteousness of God in Him,” (2 Corinthians 5:21). “If you ask Me anything in My name, I will do it,” (John 14:14). “Come to Me, all who are weary and heavy-laden, and I will give you rest. 29“Take My yoke upon you, and learn from Me, for I am gentle and humble in heart; and you shall find rest for your souls,” (Matthew 11:28-29). “But as many as received Him, to them He gave the right to become children of God, even to those who believe in His name,” (John 1:12). “I do not nullify the grace of God; for if righteousness comes through the Law, then Christ died needlessly,” (Galatians 2:21). “Therefore we conclude that a man is justified by faith without the deeds of the law,” (Romans 3:28). “These things I have written to you who believe in the name of the Son of God, in order that you may know that you have eternal life,” (1 John 5:13). These scriptures and other arguments used in this article should be evidential in the mind of the read that we do not have the same Christ nor do we have the same Gospel. It’s time for Catholics and Evangelicals to reject Catholicism, its sacraments, doctrines and popish authority. We can trust the Bible alone as our guide and our sole authority for our souls and salvation. Contrary to Rome who teaches there is no salvation outside the church because the statement that you are safe is you stay in the Roman Catholic Church is not a true statement. To the contrary, it is not safe to stay in the RCC as Rome would have us believe; instead it is safer to allow scripture to be our authority.